Watch this a cappella version of Adele's "Rumor Has It" and then join me in feeling embarrassed that the most creative thing you've ever done with a cheese grater is, well, grate cheese. Finally, I shamelessly stole this from Tracer Bullet. Here's the pay-off from that photo of Tim Daly and Nathan Fillion in their superhero jimjams. Watch them do superheroic things on "The Daly Show." Yes, Tim and his son Sam have something called "The Daly Show." I miss "Wings" almost as much as I miss "Quantum Leap." *I don't have a skateboard. 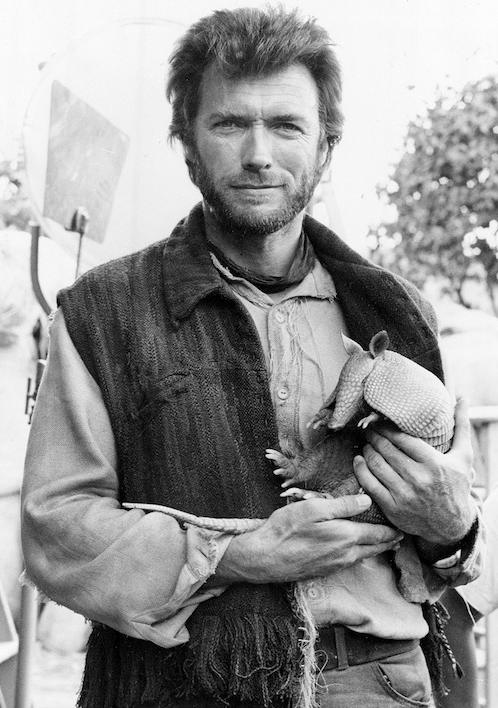 Joanna Robinson wants to thank tamatha for that Clint Eastwood photo. It made her day.